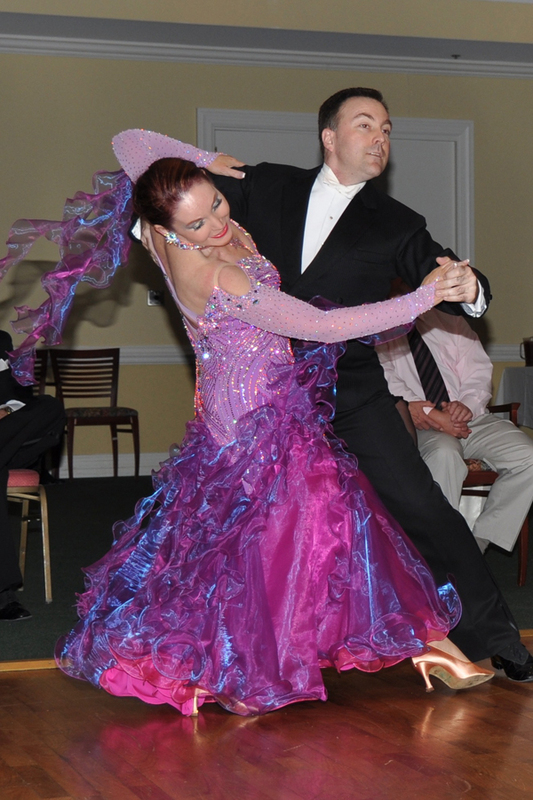 Take The Lead Ballroom | The leader in Ballroom dancing! Take The Lead Ballroom – The leader in Ballroom dancing! Fun Saturday Night Dance and New Classes! Join us this Saturday for 3 hours of fun dancing and a mini dance lesson! Also, check out the 3 new classes starting in February. More to come in March! Don’t forget about Valentine’s Day! We have gift certificates and “Date Night” for you! February is right around the corner! I know, you just put away your Christmas decorations. Valentine’s Day is one of those sneaky holidays that creep up on you and then you are unprepared! Why not try something different this year and give a dance lesson? A gift certificate for a Party Dance? Any amount will do. Talk to Susie. Also, mark your calendars for our next Saturday Night Dance Party! This month it is on the 2nd Saturday due to the Cackalacky Dance Competition being held at NCSU. Our dance will be on Saturday, February 9th from 7-10 pm. Please join us for this fun night of dancing and a mini Latin Dance Lesson! We will be announcing the new February Classes very soon. Stay posted for more exciting news from…. New January Classes for 2019! NEW BEGINNER I CLASS TUESDAY, JANUARY 8th @7:00pm! – This is the class that gets you started in learning to dance! Join us and the fun people who take the class. It is a great way to make new friends. We get you dancing around the room the first night! Classes are 8 weeks – $80pp. Location: Boulder Creek Ballroom. $10 deposit to hold your spot is required. Learn the Foxtrot, Merengue, Hustle, and Cha Cha Cha! Dress comfortably. No street shoes! Only dance shoes or socks, please! NEW BEGINNER II CLASS WEDNESDAY, JANUARY 9TH @7:00PM – This class continues where Beginner I leaves off. We build more dances for you to learn. Classes are 8 weeks – $80per person. Location: Boulder Creek Ballroom. $10 deposit to hold your spot is required. Learn the Waltz, Tango, Rumba, and Swing! Dress comfortably. No street shoes! Only dance shoes or socks, please! BEGINNER QUICKSTEP CLASS SUNDAY, JANUARY 6TH @2:00PM. – This is a fun class! We are doing the ISTD Bronze sequence. Everyone is welcome to take this if you know Foxtrot and Cha Cha Cha!. It is a 4-week class. Here’s your chance to learn this fun dance. Great for exercise! $44 per person. Sign up ahead of time to reserve your spot. AMERICAN RUMBA CLASS SUNDAY, JANUARY 6TH @3:00PM. This is a 4 week class for only $44 per person. The Rumba is known as the “dance of love“… It is beautiful and slow. As long as you have taken Beginner I, you are okay with this class! This is your chance to learn some sensual steps and improve your technique. Learn the Bronze American Syllabus. It’s a fun dance routine. $10 deposit to hold your spot. BEGINNER ARGENTINE TANGO CLASS MONDAY, JANUARY 7TH @7:00PM. – This class is for people who are new to Argentine Tango, or who want a refresher! We are doing the DVIDA Bronze sequence. It is a 4-week class. Here’s your chance to learn this fun passionate dance. Bring your own rose! $44 per person. Sign up ahead of time to reserve your spot. This is a perfect way to practice what you are learning in the classes. Music being played will be Ballroom/Latin/Country Western/WCS. There will be a quick 30-minute Intermediate Lesson each month on a different dance. January will be an Intermediate Ballroom Dance Lesson. $5 per person. Please let Susie know if you plan to attend if possible. Thanks! (Feel free to bring a snack or drink if you like! )Join in on the fun! Watch for our Spring Showcase Party! Date to be announced for soon! You can be the next Raleigh DWTS! Talk to Susie about what it takes to perform. It is a lot of fun! NEW CLASSES STARTING ALL THE TIME! SIGN UP ON THE WEB BLOG TO INSTANTLY RECEIVE NOTICES ABOUT NEW CLASSES! I want to share some dance specials going on. The holidays are upon us and it is going to be a great season! Mark your calendars for our Saturday, December 1st dance. Feel free to bring Christmas cookies to share :-). Check out the Black Friday specials and Christmas gift certificates! Looking for some students to partner! There is a brand new 8 week Beginner I Class starting this Wednesday, October 10th at 7:00pm. I have a nice group of new people starting, but a lot of them are ladies without partners. I want to make their first introduction to Ballroom dancing a nice experience. I am looking for a few men who have taken the class before and would like to get some review. It is FREE for you to do this. It really does help your dancing when you do these classes. I hope everyone survived Hurricane Florence without too many repercussions. I know it has not been a fun week and things are not over yet for some. Now that the sun is thinking about coming back out in Raleigh, I think it is time to get back to dancing! The Friday Night Dance Party is rescheduled for this Friday, September 21st! Please mark it on your calendars and I hope everyone can attend. It will be 3 hours of fun dancing! A combination of Ballroom/Latin/WCS/Country Western music being played. Also, a quick Intermediate 30 minute lesson at the beginning of the night. Bring your friends, but please tell Susie you are planning on attending by calling 585-503-7087 or email Susiebballroom@gmail.com. Thanks! Due to the severity of Hurricane Florence, we are postponing the dance tonight! Flash flood warnings and downed trees make it unsafe to be on the roads. We are planning on holding the dance for NEXT FRIDAY! I will send out another reminder later in the week. In the meantime, please stay home and be safe!